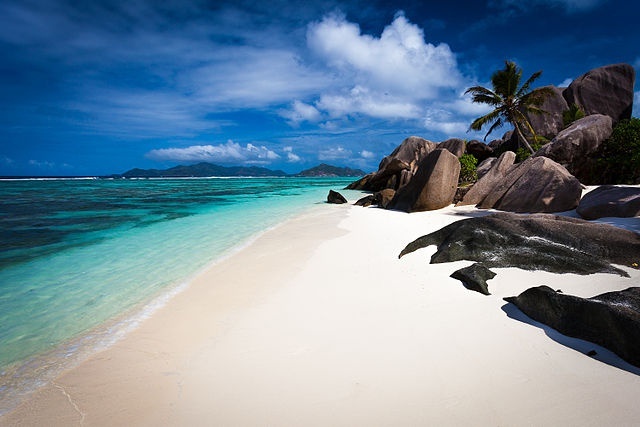 Anse Source d’Argent, located on the island nation's third-most populated island, La Digue, was chosen as the number one beach in the world by readers in a poll of favourite beaches this month. Situated in the southwest corner of La Digue, Anse Source d’Argent is a often described by visitors as a slice of heaven, with white sand mini-beaches hidden by big granite boulders. The beach's calm, crystal blue water is protected by a reef. 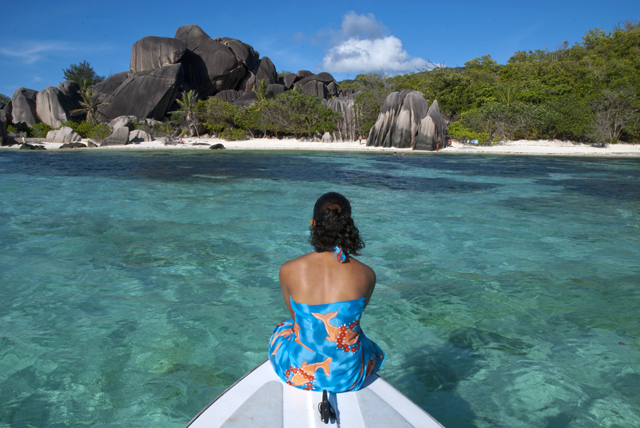 "The Seychelles is full of stunning beaches, and Anse Source d'Argent certainly doesn’t disappoint," Katie Moulton, an American tourist who visited La Digue in January, told SNA. "Every curve in the shoreline offers a new spectacular rock formation or a different shade of blue water. Still, for swimming, my favourite beach is on the other side of the island -- Grande Anse. There the water is deeper and the waves are bigger." The mysterious beach adventureland is suitable for adults and children and is one of the most popular beaches of the 115-island archipelago in the western Indian Ocean. Marie-Cecile Fanchette, owner of a tourism establishment called ‘Lanboursir’ close to the beach marvelled at the sandy beauty but said islanders need to take care of the natural treasure. “I think it has always been popular for its beauty and tranquility but for me today it has been partly spoiled because we have not taken care of how to manage it,” said Fanchette. Fanchette said the beach used to be called Anse d'Amour, which means Love’s Beach, and was popular with lovers, a place to meet and have a quiet time together without disturbance. Today, the beach is more crowded and to get a good spot, visitors need to visit early in the day, said Fanchette. The beauty of Anse Source d’Argent has been captured on the silver screen. It was used as a location in movies like Roman Polanski's ‘Pirates,’ Robinson Crusoe and Cast Away.